It's Day 2 of Bunny Week 2018! Cut the cardboard tube into 1" rings, then paint each piece white. While the rings are drying, complete the coloring page. 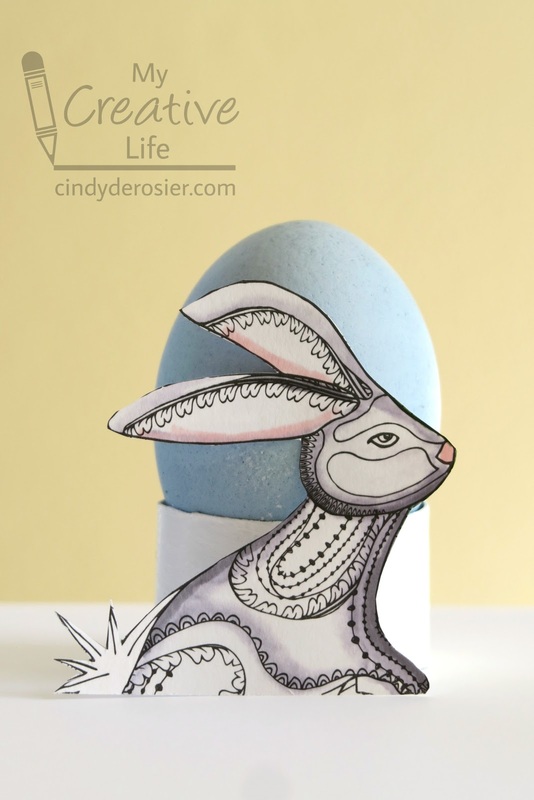 Use the microtip scissors to cut out each bunny image. Attach a Glue Dot to the dried ring, then press the bunny into place. Set a dyed egg into each egg cup. Love love love this! LOVING that bunny!!!! !